We were excited to hear about the continued success of Pica's Pub and Grill when they were featured on Greater Salem New Hampshire Chamber of Commerce’s Success in the 603 podcast. Even more, we were thrilled to be mentioned during the podcast! It brought back great memories of one of our favorite projects. Pica’s has a great history and we’re proud to have been part of their new chapter. Make sure you stop by Pica’s soon - we’ll probably see you there! Listen to the podcast here OR watch the live taping of the podcast here. Designing a new pub is great. Having community support and excitement is even better. Methuen's new newspaper, Loop Weekly, features the transformation of the former Common Grounds Café to Pica's Pub & Grill. Common Grounds Café suffered an unfortunate fire (ironically on my birthday) and was subsequently demolished. In its place, the new Pica's Pub & Grill which will feature a custom bar nestled in warm colors and natural materials with a blend of lodge rustic and urban industrial. Read more about the history of the family cafe and the design process of the soon -to- be everyone's favorite local pub here. Common Grounds Café owner Wayne Bernard and I reviewing design documents. Only June 22nd, at the first annual Movie Night at Field of Dreams, concept renderings were revealed to the public for the first time. 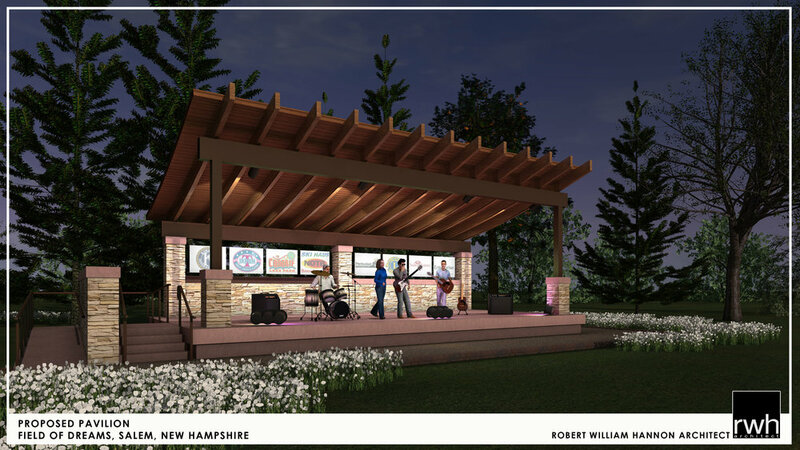 Robert William Hannon Architect PLLC has been working with the non-profit organization to develop a design for a new pavilion, replacing the 23 year old existing wood stage. The goal of the design was to generate a contemporary facility that will esthetically fit within the naturally wooded site and be resistant to potential vandalism. 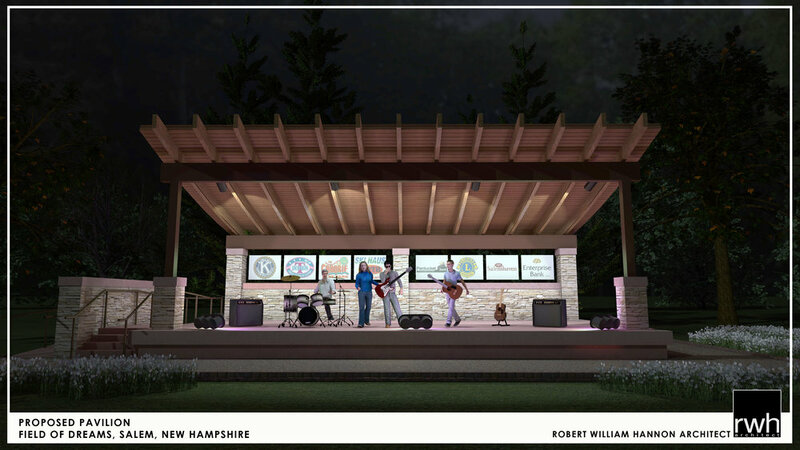 The Pavilion will be fully handicap accessible, an important feature the existing stage is lacking. The proposed design includes a roof to protect equipment and performers in the case of threatening weather conditions. In 2015, thirty percent of the concerts from the Summer Concert Series were cancelled due to inclement weather. The Field of Dreams board is now actively in the fundraising stage. To supplement current reserves, the board will be applying for grants and doing community outreach activities in the coming months. Field of Dreams is a community park and playground located on Geremonty Drive in Salem, NH. There is a playground with a dedicated toddler area, as well as areas for older children. 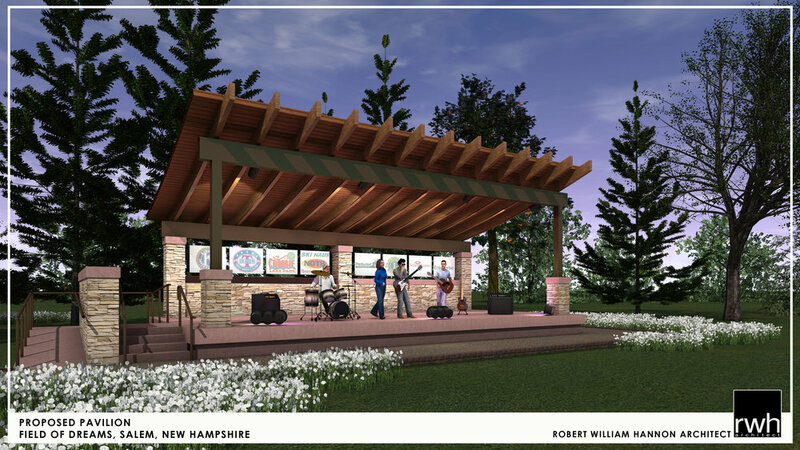 Other features of the park include a newly appointed fitness trail, walking/hiking trails, a volleyball court, picnic areas, and a stage for performances. Field of Dreams also hosts the weekly Summer Concert Series and other community events throughout the year. The park can be rented for parties and events. More information about the park can be found on the official website, www.fieldofdreamsnh.org. Salem, NH architecture firm, Robert William Hannon Architect PLLC, has been awarded the Designer Services for Capital Projects contract from the Lowell Housing Authority. Also referred to as House Doctor, work under this contract includes professional services including bid and construction document development, design and material specifications, cost estimates and field inspections. “This opportunity captured my attention as I have a secret affinity for this growing city,” said the firm’s Principal Robert W. Hannon, AIA. The firm has completed design projects within downtown Lowell including condominiums, bars, and restaurants. The Lowell Housing Authority was founded in 1937 and works with U.S. Department of Housing and Urban Development (HUD) and other government partners to provide housing and Social Service programs for those in need. “This city has made great strides toward making Lowell a better place to live. I once lived in Lowell myself and am excited to be part of the positive changes in this community,” says Hannon. The contract term is for one year, with a possibility of extending to three years. "The Lowell Housing Authority team, working in partnership with other housing providers, local Government and our residents, will strive to provide the highest level of housing and a variety of social service programs that will assist residents and employees in achieving the highest level of self-sufficiency". For more information, visit http://www.lowellhousingauthority.org. For 20 years, Robert W. Hannon, AIA has been designing facilities for a broad range of clientele including commercial, corporate, government, residential, and education market sectors. For more information on Robert William Hannon Architect PLLC please visit www.rwh-architect.com or contact Robert Hannon directly at rob@rwh-architect.com. In college I attended a live lecture with Frank Gehry at Massachusetts Institute of Technology (MIT). He told a story about why he designs the buildings the way that he does. His response was simple: "Because I think it's cool." All these years this comment stuck with me because he wasn't over-concerned about fulling a greater purpose. What he thought was cool architecture was good enough. Hearing that shaped my philosophy and ultimately my future projects. With the help of Architectural Digest, celebrate this iconic architect with this inspiring slide show featuring classics like Solomon R. Guggenheim Museum, Dancing House, and Boston’s own Ray and Maria Stata Center. My clients are going to love this! Here I'm testing out my new skills. Printing a 3D model from a house I drew in Revit. This is so much fun. I am pleased to announce that I am now a board member for Salem, NH’s local park and playground, Field of Dreams. Since establishing my practice in the Greater Salem area, I had been wanting to join a non-profit. After seeing how much the community values the park, and the passion of the fellow board members, I wanted to be part of the Field of Dreams mission. For more than two decades, the Field of Dreams has been a beloved community landmark. Across from the Town Hall, and neighboring the High School, the public park and playground is located in the heart of Salem, NH on Geremonty Drive. Along with an expansive playground area, there are hiking trails, a fitness trail, a volleyball court, a performance stage, and several picnic areas. The park is also a highly active member of the Greater Salem Chamber of Commerce. The Field of Dreams also hosts a weekly Summer Concert Series. Throughout the year the park attracts local residents for seasonal and fundraising activities. The park can also be rented for parties and events. 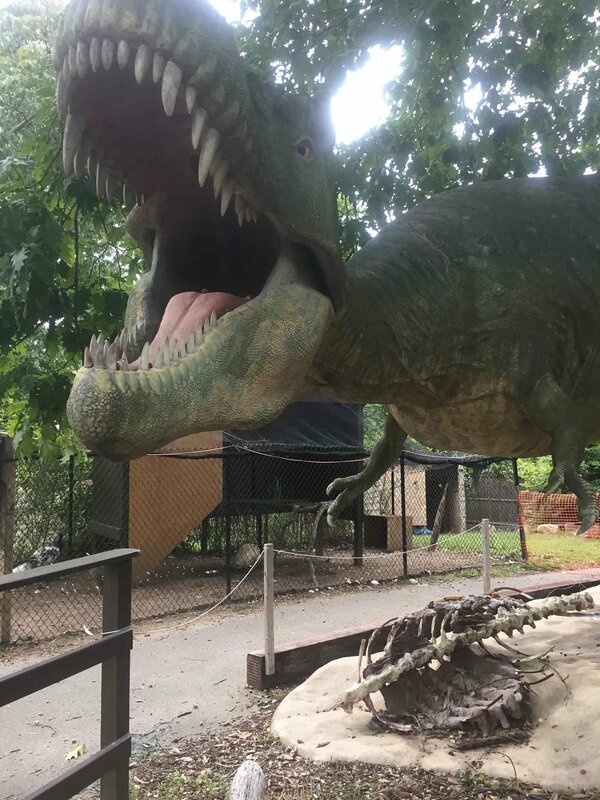 More information about the park can be found on the official website. I find it refreshing to be part of such an important community asset, and to be associated with an organization led by such motivated individuals. The enthusiasm of the board members and the community is inspiring. I’m excited to lend my industry expertise to the Field of Dream’s future plans, and hope to make a positive impact for many years to come. I was contacted again by the Smokehouse Tavern to help with renovations. Smokehouse Tavern is located in one of Lowell’s iconic Mill buildings. At 124 years old, the Institute Building has amazing character. Smokehouse Tavern engaged my services as they needed to re-energize the front entry way; rethink an underutilized hostess station, and make room for some much needed billiard tables. The original Village Smokehouse, now Smokehouse Tavern, was always a great bar. With the addition of the billiard tables, this place is going to be an even bigger downtown hot spot. Stop in to Smokehouse Tavern to see the changes. Yesterday, I met some amazing people at the Greater Salem Chamber of Commerce Business Before Hours event at Edward Jones Investments in Windham. Pat Good, Vice-President of Field of Dreams and I spoke about the upcoming Summer Concert Series. They've booked a pretty impressive lineup. Looking forward to meeting more of the Salem and Windham community at future Chamber events! This is a little over a year old but I felt it is worthy to post. Invest a short 30 seconds.